How should we, Indian Muslims in the Caribbean, commemorate the event of our arrival in the Caribbean almost 200 years ago? If we do not ourselves respond at this time to this subject in a manner consistent with our faith in Allah Most High, and with our mission as Muslims in the world, then our great grandmother’s tears would be shamelessly exploited by those who pursue a sinister agenda on behalf of the slave-master who brought us from distant India to these shores, and who still rules the world. It was in the quaint town of Ladysmith in South Africa that I met Dr. Adam two years ago. I had just delivered a lecture on Islam in which I lamented that my audience was almost exclusively Indian, despite the fact that they were Muslims and they had ‘arrived’ in black South Africa from their native India generations ago. I mentioned that I had the same depressing experience when I entered the Masjid in Bridgetown in the Caribbean island of Barbados and felt as if I was in downtown Bombay. And even in my own native Trinidad there were so-called Islamic organizations that were not only almost exclusively Indian, but also went out of their way to preserve and promote their ‘Indian’ identity. One of them even banned this writer from lecturing on Islam, and declared that he was “a great security risk”. Now it is only proper that we should lovingly recall the great sufferings and trials experienced by those who came before us, and whose blood, sweat and tears are soaked in the ground on which we now live far more comfortably than they ever did. It is only proper that we should honor our indentured Indian ancestors and seek to preserve their memory. But it is quite another thing that we should remain imprisoned in a time-capsule and fail to respond dynamically to an ever changing environment. Only then would she smile—she who worked for slave wages in her own country—and it would be a smile of such absolute innocence and dazzling beauty, despite oppression, grinding poverty, and weariness of the soul, that it would bring tears to my heart. And she would then tell me an African name that I could hardly pronounce. “What does it mean?” I would ask, and she would explain so softly (for she knew that the voice of a servant must conform with her lowly status) that it meant ‘sunshine’ or ‘raindrops’ or ‘moon light’ or ‘dewdrops’ or something else equally exquisite. It happened time and again in home after home. But in those simple fleeting conversations she could feel that I was a friend, and that the Islam that I preached would not betray her, and would struggle to liberate her from oppression. I asked my audience, “When will Islam come to South Africa?” They sent Jamaats all over the world for Tableegh (preaching) and yet Islam was so strangely absent in their own Muslim community. If they really had Islam they would have grasped at the opportunity presented in post-apartheid South Africa to build and sustain a model Muslim community of racial fraternity and economic justice (i.e., the Muslim Village) that would have united the brown, white and black, the rich and the poor in one loving family. Dr. Adam called me aside after the lecture was over and said to me, “Do you know that your teacher, Maulana Dr. Fazlur Rahman Ansari, spoke those very words of yours, about building racial fraternity and economic justice, 30 years ago right here in Ladysmith?” “Since then”, he said, “I took a black African woman as my wife, in addition to the Indian wife I already had. I therefore have two homes,—and one is in the black township where I am overwhelmed by the sincere love, respect, and reverence shown by all the people of the township to a non-African Muslim medical doctor who chooses to live in a black African township with a black African wife.” This essay is most certainly not promoting inter-racial marriages. People should be free to marry in or out of their race, and their primary concern ought to be that they choose mates of faith and character. But if an inter-racial marriage does occur then it would be disgraceful for Muslims to betray Islam by responding negatively to it while holding on to some absolutely false notion of racial purity. 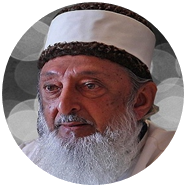 Maulana Ansari’s integrity and wisdom, and Dr. Adam’s courage, brought Islam to an African township in such a concrete and tangible way that it won the hearts of the poor African people. If there is to be a valid Islamic input to the commemoration of the arrival of Indians in the Caribbean, it must be to remind both Africans and Indians that the same ‘beast’ who brought the African in chains as a slave to these islands, also brought the terrified impoverished Indian in tears. That ‘beast’ is now slaughtering Iraqis, Afghans and the poor black Haitian people. My great grandmother was an innocent 13 year-old girl in an Indian village when she was kidnapped and put on board a ship bound for Trinidad by slave masters whose ‘burden’ it was to civilize the non-European world. A young man on board the ship, who eventually became my great grandfather, learnt of her story and protected her from vultures all through that miserable terrifying journey. After their arrival in Trinidad he married her. The tears of the African slave were no different from my great grandmother’s tears. One of her daughters lived until 1975 to tell us the story of her mother’s tears. And so Indian Muslims in the Caribbean should commemorate their arrival in the Caribbean in a manner designed to unite the races rather than to divide them. Islam, the religion, has a capacity that secular political parties do not possesses, to build and sustain a racial fraternity that can impact positively on racially-polarized societies, and can heal racial wounds. The proper Islamic input into the celebration of the event of Indian arrival in the Caribbean must be to commit ourselves to establish and preserve a multi-racial fraternity that would collectively respond to oppression in the world today.